Block paving can be used as a driveway surface, patio surface, for walkways, gardens and seating areas. You get great value with it and it should easily last 5 years before any fading. However, that is not the reason people choose it. 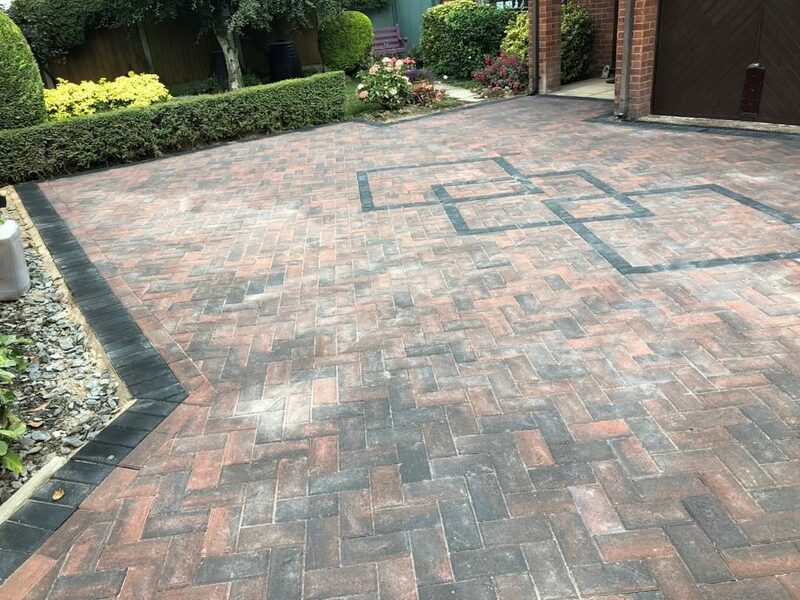 People choose it because it can be tailored with endless customisations to make each block paving driveway or patio area unique! 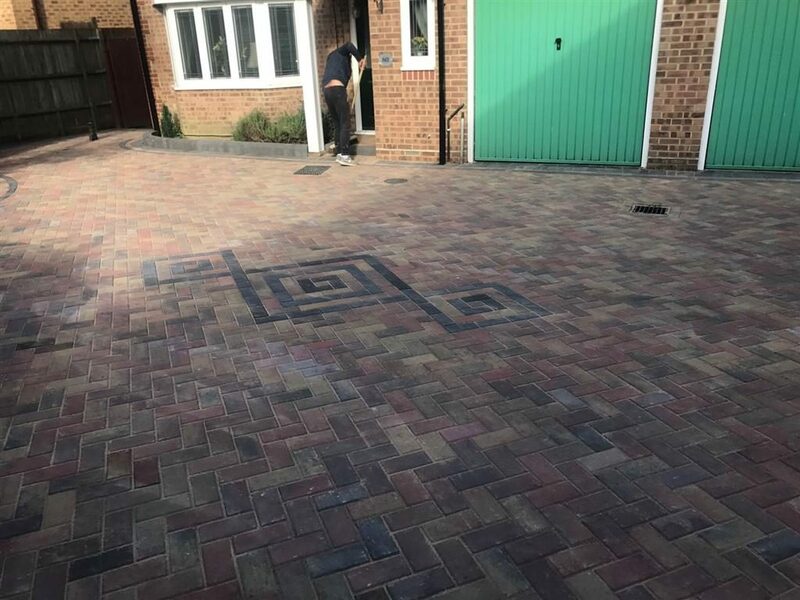 You can put multiple colours together, you have multiple choices with block paving laying patterns, you can insert custom designs into the middle of it and it can be used on large, small or narrow areas just as easily as on big open car parks! The designs and the way block paving can be installed is truly limitless. 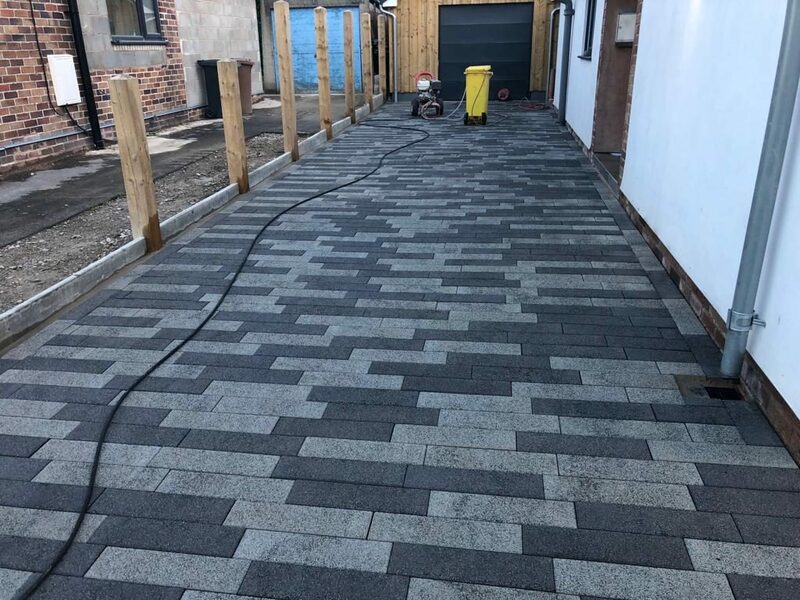 The only deciding factor is who installs it for you which is why you should always “pick the best paving company in Dublin” for the job, look online, ask friends, see installers as they lay the paving. 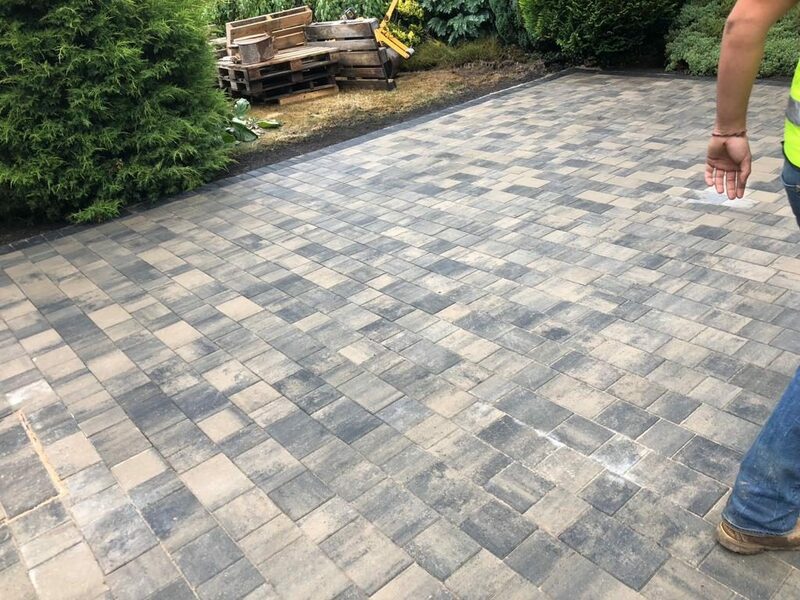 A quality paver will always be able to match or exceed your expectations! That is two different examples of paving in Dublin that is laid in two completely different ways. One is laid in a herringbone pattern and the other is laid in a half offset pattern. One type of paving is standard block paving and the other is permeable paving(you can see the rippled edge on it). One has a double border with a 9 inch inside header and a single strip outside of it. The other just has a standard 9 inch header border around it in the same colour. You might be wondering what permeable paving is! 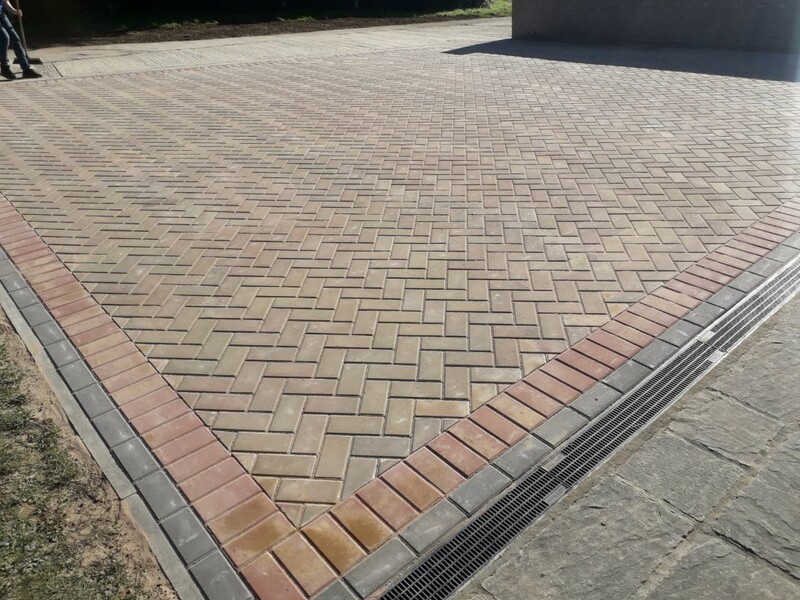 Well permeable paving is very similar with standard paving. The big difference is the larger grooved edges on it which allows a bigger gap on it. The second is that the preparation is done with a more porous style base and sub base. Both of them things ensures water on the driveway goes straight through very fast the paving and drains away quickly. What sort of paving is that above us? Well that’s referred to by Tobermore paving as Tegula paving, Kilsaran refer to it as Lismore paving. In essence, they are very similar. They can be laid in 3 different sizes or with just one size(preferably the larger or medium sized one). It is laid in a random pattern and the aim is to offset the joints so no two rows line up together. This type of paving is more expensive than the standard block paving. For whatever reason, the manufacturers charge more for it although the actual procedure of making them is very similar to standard paving. The installation of this type of block paving is the exact same as standard paving as well. 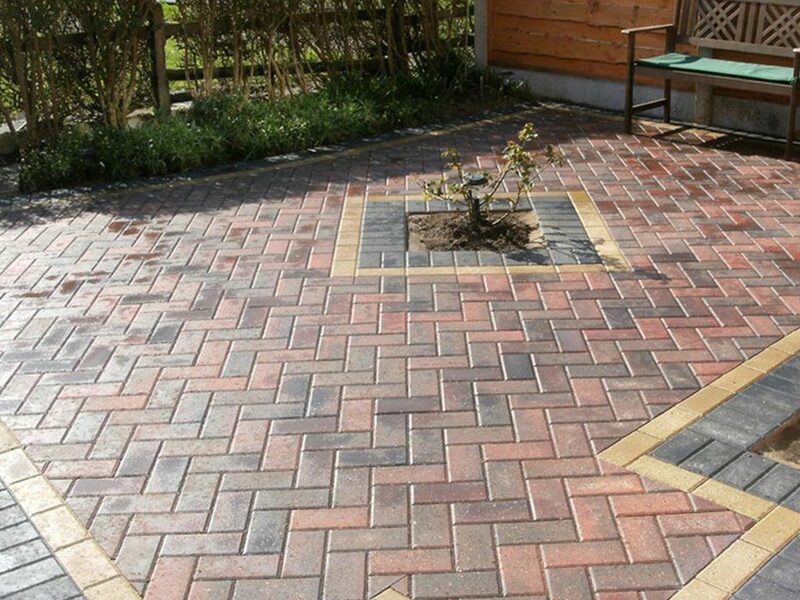 Here is an example of the different finishes you can do with block paving products. Both of them show how varied the block paving examples are and what you can achieve if you have the right contractor to install it for you! The design never ends. You can choose outrageous colour combinations, sweeping borders and even elevated circular step areas. What Are The Most Common Types Of Kilsaran Paving In Dublin? All of these types of paving are from the Kilsaran paving range in Dublin. They provide the largest range of paving in Ireland and offer a long term guarantee on the quality of their paving. What Colours Are Available With Block Paving? These are the most commonly available colours although not every style of paving has the complete amount of colours. Some are only available in 3 or 4 colours. Make sure to see samples of the paving to ensure its what you like. 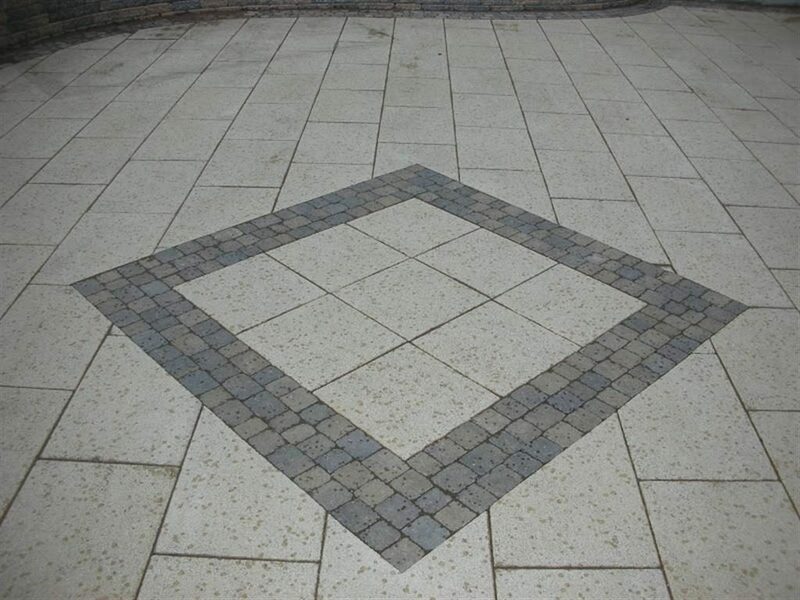 Patterns such as diamond patterns have to be custom tailored into your driveway. This is done by building the shape with the block paving and simply cutting into it. 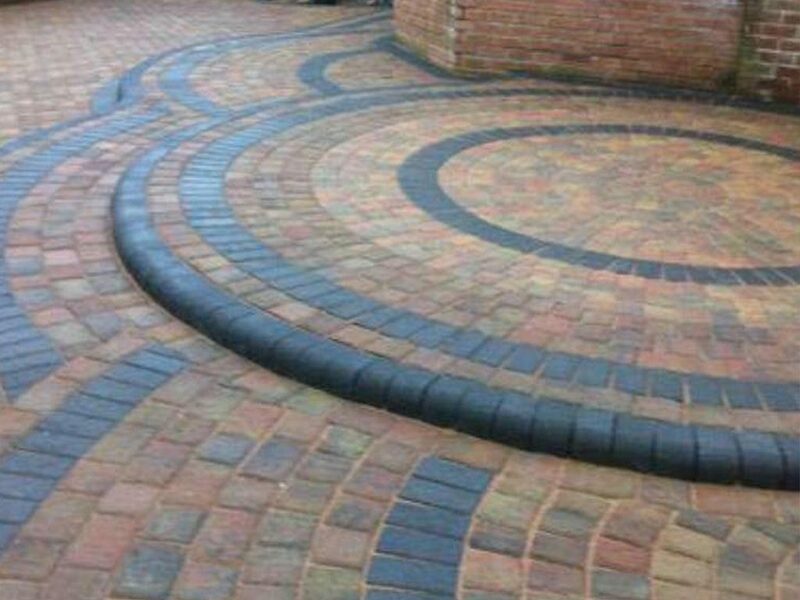 More complicated patterns can be built but normally like paving circles you can buy in predefined sizes and diameters which can make a great feature on any driveway or patio area. Block paving makes a great option for people who would like to create something unique in there patio or garden. You can choose to use standard garden paving(top left picture) or you can paving flagstones (top right) as patio paving. Just like your driveway, the colour options, designs and the way it can be customised is truly amazing. Its great for having a table and chairs on as since it is so stable and level. Safe for kids to run around on because it has traction and its easy to maintain all year round. Always ensure to check with the suppliers on what type of preparation will suit your paving the best. Enquire as to the maintenance of it as well. 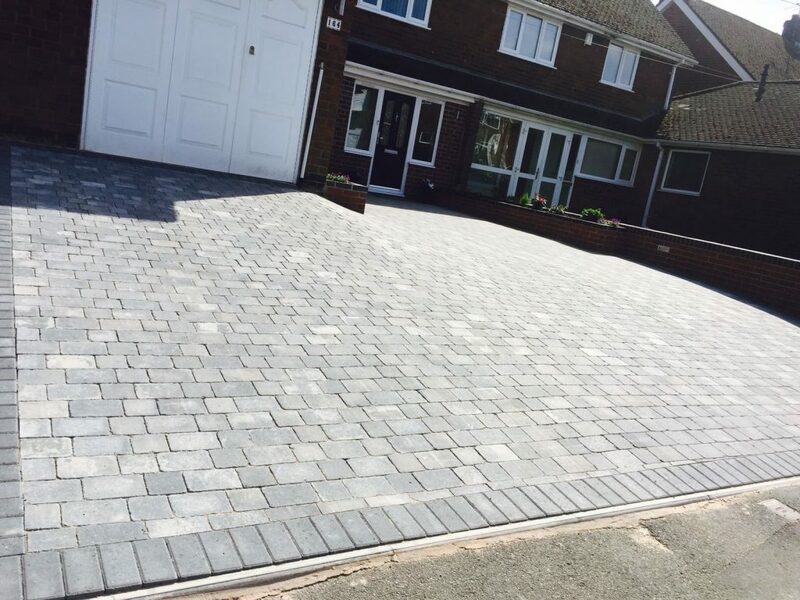 There is a big difference between standard block paving and clay bricks which also can be laid on a driveway or garden area. Visit our blog for more examples of block paving. Another advantage to block paving is the benefit of how easy it is to maintain. Once a year you can pop out to your garden or driveway, wash it down and let it try off. 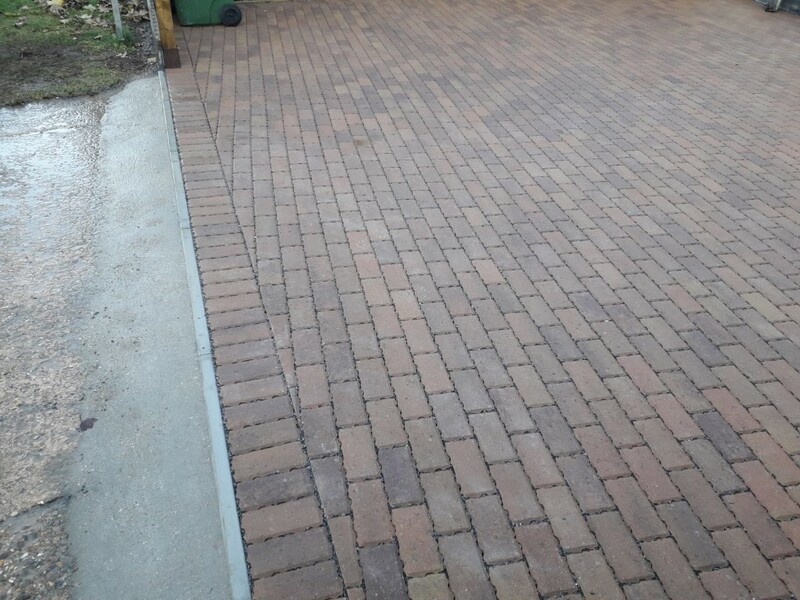 Once its dried off, you sweep all the rubbish off it and just simply top back up the paving joints with kiln dried sand in the block paving. Its very easy to repair. If you have a cracked block, its sunk or it has become stained, simply get a flat headed screw driver, scrape out the kiln dried sand around it and pop it out. Put in the replacement. We recommend on any paving project to keep some spares. Leave them out somewhere so they can age just like the paving on the ground. This way you have an exact match whenever you need it. Sometimes you can have weeds growing in the joints. This is not down to badly installed paving, what happens is grass seeds pollinate through the air and some land in the sanding joints. The seed can push some roots into the sand and start to grow in it. Using weed killer is a good option once a year if you have lawns near the block paving as its a regular occurrence. Always take your time, pick the best paving options that suit you and your home. Shop around, get some prices, carefully vet your contractors and get a quality paving service in Dublin. You are guaranteed a long lasting and custom paved driveway.